How have role-playing games benefited the people in the game industry? What tools could they provide for the current and future professionals in gaming? How could different game developers learn from each other? Many professionals in the field of gaming have begun their careers through role-playing games. The Ropecon Cross Games program track explores the common grounds and shared issues between digital and physical role-playing games. The target audience for these lectures, panels and workshops includes both current and future professionals and hobbyists of gaming and game development, as well as anyone interested in game design. In this new program track Ropecon aims to bring together game developers to discuss these topics – and invites you to participate in the dialogue! How is a good gaming experience created? How does a player become skilled? How to guide the player to play as designed without losing the experience of discovery and innovation? What does it mean to be a good player? Does your game need other types of players besides the good players? The player wants to feel skillful and to understand the game. This feeling does not create itself: different game products use different methods to teach and guide the player towards a style of play the game was designed for. This presentation provides a perspective to the way PC simulations in particular are designed to guide the player, and will introduce the pros and cons of different methods. Since the main focus will be on the needs and wishes of the player, the same principles can be easily adapted to other gaming products as well. This presentation is given in Finnish. 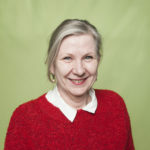 Irmeli Pietilä, D. Sc. (Econ.) and M. Sc. (Tech), works as an instructor at the Haaga-Helia School of Vocational Teacher Education. On her free time she does research on the entrepreneurial practices of hobbyist game developers. 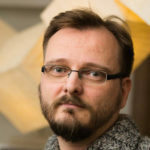 According to Pietilä’s dissertation (The Game of Developing a Game – Hobbyist Game Developers as Playful Entrepreneurs in the Apple App Store), uncertainty does not necessarily prevent entrepreneurial practices. 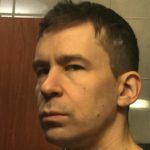 On the contrary, it can even inspire these practices if the hobbyist game developer enjoys the excitement brought on by the uncertainty and if they are careful to invest only what they can afford to lose into their project. Bird-in-hand, affordable loss, patchwork quilt, lemonade and pilot-in-the-plane: what are these five principles of the effectuation cycle? The subject will be first explored in Pietilä’s presentation, followed by a functional workshop. Finally, there will be a discussion on the session and on which principles would be the most helpful when building an enterprise based on the skills and expertise gained through a hobby. This workshop is held in Finnish. Participatory narration is a common feature of role-playing games, but it can also be applied in television, theater, advertisement and video games, among many others. 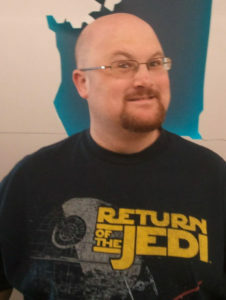 Mike Pohjola is an award-winning transmedia screenwriter who will be talking about his own experiences on the subject and giving out tips on how to utilize your role-playing knowledge in the world of media. This presentation is given in English. 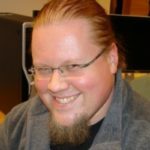 Jussi Kyrönseppä, the CEO of Stupid Stupid Games, will talk about how he and his team built an operating indie game business out of a student project. The game world of Agents of Armageddon was created by collecting academic credits and powered by energy drinks. How can you start developing games as a student? How to avoid the worst pitfalls? What is Agents of Armageddon, and why should you be interested in it? For answers to all these questions, come and hear what the CEO of Stupid Stupid has to say. In addition to extensive experience in the game industry, all members of the panel have two things in common: they are passionate role-playing gamers, and they have all found their way into the game industry through their hobby. The panel is moderated by game scholar and designer Markus Montola. He will create discussion about the work culture in game industry, the transition from a hobby to a job, as well as the role passion plays in both of these. The panel will also take a peek on industry secrets: how to find your first job in the industry as a board game player or a Game Master, for example. This panel is held in English. How does the development of digital and physical games differ from each other? How are they similar? What are paper prototypes? Answers to these and other questions will be provided by a high-grade panel of professionals with experience from developing all kinds of games. 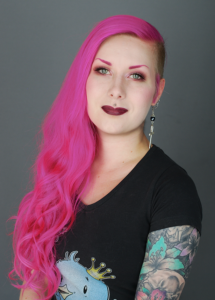 The moderator Jonne Harja is a game industry firestarter, a game designer, a founding member of the gaming cooperative Expa and a role-playing veteran. How to design a story? What different roles does its creation include? How does the player take in the story and how does it become meaningful? 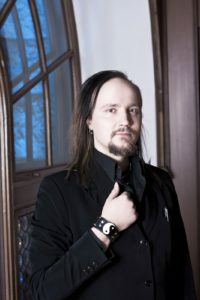 The topics of this presentation include the narrative and participation from the perspective of the modern Finnish live role-playing game design, and the new tools provided by the Nordic LARP tradition. Niina Niskanen is a game designer and an author from Helsinki. How to combine the passion for game development and the burden of paying the rent? How to keep all parties satisfied, from the players and investors to your own mother? How does one really make money from games, and what does it cost to run a game company? Does this game have any winners? Can harmony be found in the chaos? A panel of seasoned professionals led by Jonne Harja will try to find answers to these tricky questions. If you are new to the world of role-playing games and would like to know more about the various styles of games available, you are welcome along on a 30 minute introductory tour through Ropecon on Saturday. 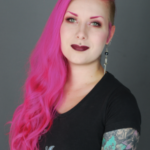 Emilia Hjelm will give a brief introduction into different forms of role-playing as well as into the history of both role-playing and Ropecon. This tour is held in both English and Finnish. Notice: Ropecon reserves the right to any changes in the program. In addition to Cross Games, Ropecon has a lot to offer! The program includes lectures and workshops on varied subjects, an array of role-playing games to try out, as well as an Experience Point featuring demos of new games. The full program of the convention will be published in the summer. Servers provided by Säätöyhteisö B2 - thank you for the support!